Paperback, 1st edn. 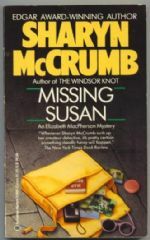 An Elizabeth MacPherson mystery with Jack the Ripper connection. 248pp. mass market p/b. Nr. F.